Latest 157W box mod resin version from Voopoo, powered by 32-bit super US Gene Fun chip, dual replaceable 18650 batteries. It features Super Mode, which will be activated automatically under 130 wattage. Also it features fastest fire speed, 0.025s only. 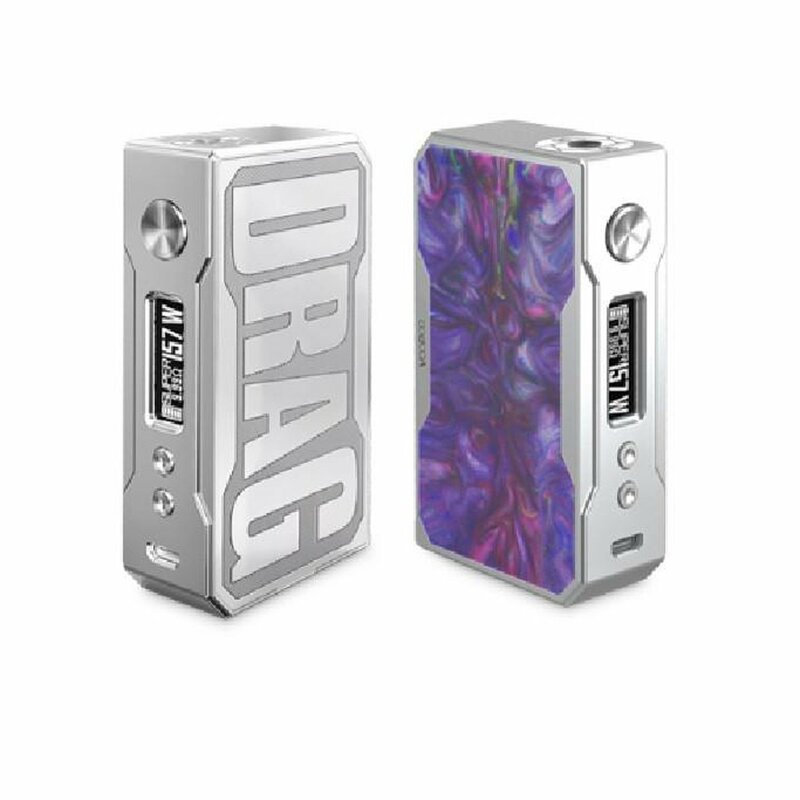 The VOOPOO DRAG 157W Resin Version is nice looking and so cool. NOTE: Case & Battery Cover is Silver with DRAG Logo, While Resin Comes in Assorted Colors. Your Colors May Vary From Pictures. Every Device is Unique.